This weeks topic of conversation is – Inside the minds of small business owners. What makes them tick? Do they have a special success ingredient? Where do they go to seek support? Why do they do it? 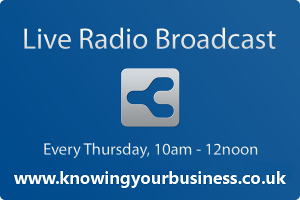 The Knowing Your Business show interview Carie Lyndene, Tina Maredith Griffin, and James Butler to find out more. Tina Meredith Griffin owner of KwikPix Photo Booth talks to us at 10:40 am. ← Suzan St Maur AMIPA. Professional business writer, blogger and best-selling author.